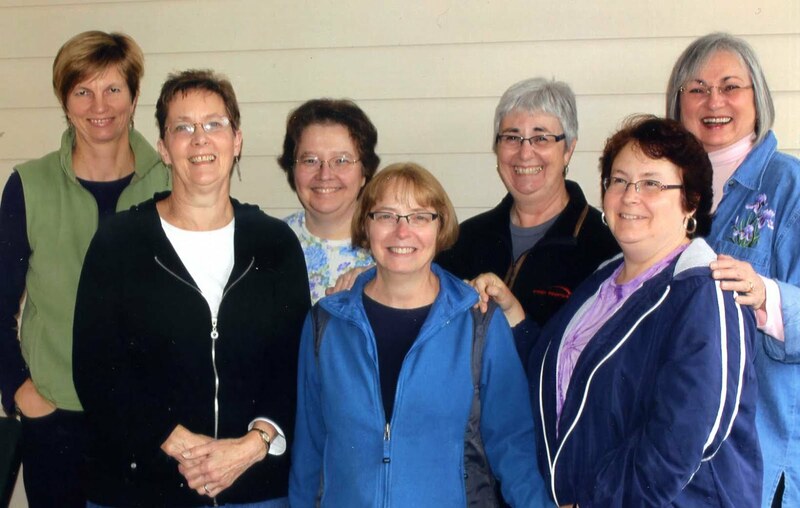 The seven Cardologists travel to Stamp Camp every October. This year we are at Smuggler's Notch in Vermont for a week of creative fun. The leaves are mostly off the trees and we had early snow flurries. It is a very good day to be inside stamping. This first card has a background using a technique I found on frenchiestamps.com using wax paper embossing resist. The polar bear is from Stampin Up Zoo Review. The embossing folder, borrowed from a friend, is birch trees, I think, turned sideways. This card features the Penny Black stamp Sealed with a Kiss. 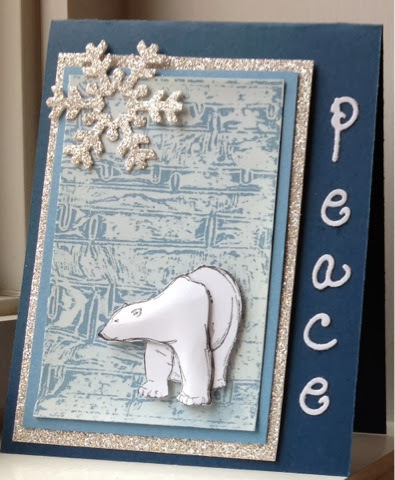 Love this "peaceful" polar bear, great colour and icy sparkles! 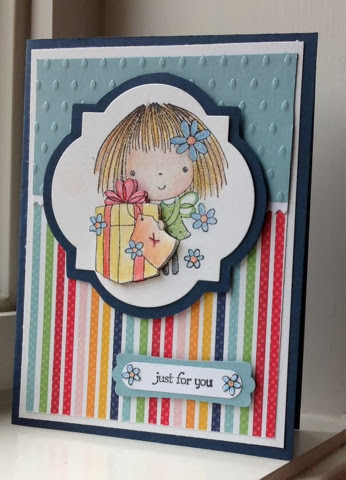 The darling little Penny Black image is cute, cute and wonderfully coloured/shaded, outstanding! So you are in Vermont! Bundle up and stamp away! My husband and I use to go to Stowe for long week ends when we lived in Montreal and pre children ! Great memories. PS I guess you know that you have word verification turned on for comments. Over time I learned that it's best to turn that off as it's a bit off putting especially if you enter challenges in the future and folk will sometimes just bomb out when they see that pop up. Love your wintry card with the Polar Bear......brrrrrrr. And, the other is as cute as can be. Our leaves down South are just beginning to turn, at least, in my area. Waiting for peak season. Have fun blogging!!! Meant to say I came here via Darnell. Hello Dora, lovely name it was my Mom's, of course the sweet Darnell sent us to visit, welcome to blog land, bloggers are the best people, like your craft friends. You make lovely cards, using the trees sideways was brilliant, fabulous background for the polar bear. wishing you a wonderful creative week..
Hi Dora, just found you over at Darnell's, and popped by for a most enjoyable visit & became your newest follower. (Hope you'll find time to come visit me also). 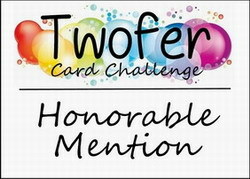 Love both these cards, but really liked your idea to turn the Birch EF sidewise for your icy bear. Brrrr...chilly just to look at this one. The PB one was so cute as well...great coloring here. Also a lovely blog. I think you'll soon have lots of new followers! What lovely cards Dora - I particularly like the creative way you used the embossing folder on the beautiful Christmas card. Lucky you to have a stamp camp! !